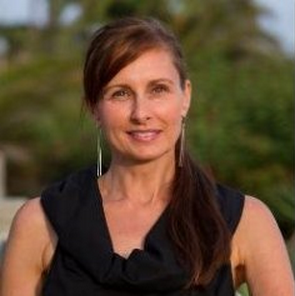 Denise has 20 Years experience with high profile award winning agencies and clients such as Google, Virgin America, XBOX, Adidas, Netflix, Hyatt Hotels, Acura, etc. all with successful outcomes. Her goal is to always find creative solutions and approach projects with a “yes, let’s make this happen” whenever possible. Sources photographers, illustrators, CGI, video crews, fine art and street artists or what ever is called for specific to each project. • Excels at negotiations and creating and managing schedules and budgets. • Acts as the point person and communication liaison working in partnership between the creative team, account team and hired production team and artists, as well as the agencies or 3rd party live action and digital teams to ensure a cohesive outcome and production. • Sources and purchase stock images and obtain the appropriate legal clearances for shoots and stock. • Manages the post shoot retouching, distribution and handling of assets and finalize billing once the project is complete. Denise is based in the Los Angeles and San Francisco and she is available for Remote work as well. She will also consider work in Seattle, N.Y., Chicago, Minneapolis, Austin, Dallas, Miami, Boulder, Boston. What Do People Who Work with Denise Want You to Know About Her? I have worked with Denise many times over the years, most often on complex photo shoots. She is: graceful under pressure, resourceful, a deft negotiator, sharp, excellent at fostering productive relationships with everyone (clients, photographers, reps, agency folks and crew), detail oriented, thoughtful as a problem solver, gifted at striking the delicate balance between creative vision/desires and budget/reality and a pleasure to work and travel with. My experience with her as an art buyer is the same and I would add that she is: very discerning aesthetically, well versed in the photographer community at all levels (affordable to highest end) and very talented at finding photographers that are right for a project given the desired creative direction. Simply said, I could not recommend her more highly. You will love her. We all do. Denise is an incredibly talented producer. She’s a creative problem solver who relishes big challenges never losing control over the smallest details. In addition to producing work to a high level (yes, and on-time), she’s great to have involved in early conceptual phases of a project, always bringing great ideas and solutions. I’ve known Denise for a number of years. I worked with her at Leagas~Delaney years ago and more recently at BSSP. She is a true team player with a great attitude and all around great person. Not to mention, she’s really good at her job. I worked with Denise when she produced a photo shoot for our client T-Mobile. Denise was terrific to work with – professional, prepared, experienced and a pleasure to interact with. She worked really well with the client, photographer, talent, and everyone else involved with the shoot. She kept us on time and on task. Even when things got difficult she kept her cool and stepped up to deal with the challenges at hand. She has a great attitude and is a problem solver. I would work with Denise again in a heartbeat and would recommend her to anyone else. Denise is one of the best in the business. Her professional approach wins respect from everyone, especially tough clients. She is a proactive problem-solver, unflappable in the most tenuous circumstances and has proven to be one of Eleven’s secret weapons when it comes to art producers. I co-produced for R/GA N.Y. the Rihanna ANTIdiaRy 360 cinemagraph digital shoot for Samsung that launched last December promoting her new album in Time Square and online. It was an incredible experience working on production of this scale in partnership with 2 other agencies. Two massive sound stages built out with broadcast and two stills crews working in tandem over 8 exquisitely designed sets. It was very technical shoot that required a lot of strategic solutions while on set but our crew and production company were flawless and top of their game. It was a great experience to roll with so many talented people with multiple goals and accomplish them all.